You may have limitations on countries your shop can deliver to. In order to restrict purchases to certain countries you will need to edit your postage and delivery settings. Here you are able to select the countries you are able to deliver to within this zone. If you would like to set different options for each country please add them as individual "zones" and edit accordingly. 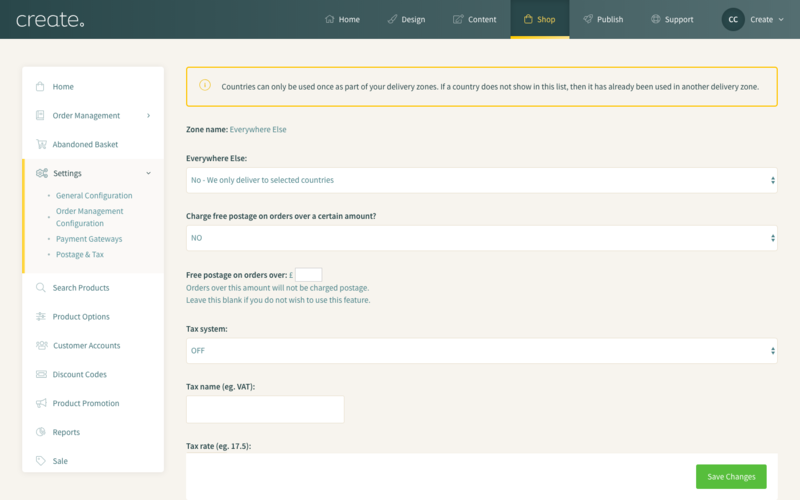 Once you have created your "Delivery Zone" you will be able to set your postage rules and add relevant delivery types. Select the edit icon next to "All Other Countries"
Choose "No - We only deliver to selected countries" from the drop down menu for "Everywhere Else"
Saving these settings will return you to the main postage area. Here you will see your "All Other Countries" area now has the message "Your shop is currently set up to not allow delivery to countries other than those specified in the above zones." These settings will now be configured to allow delivery to permitted countries.